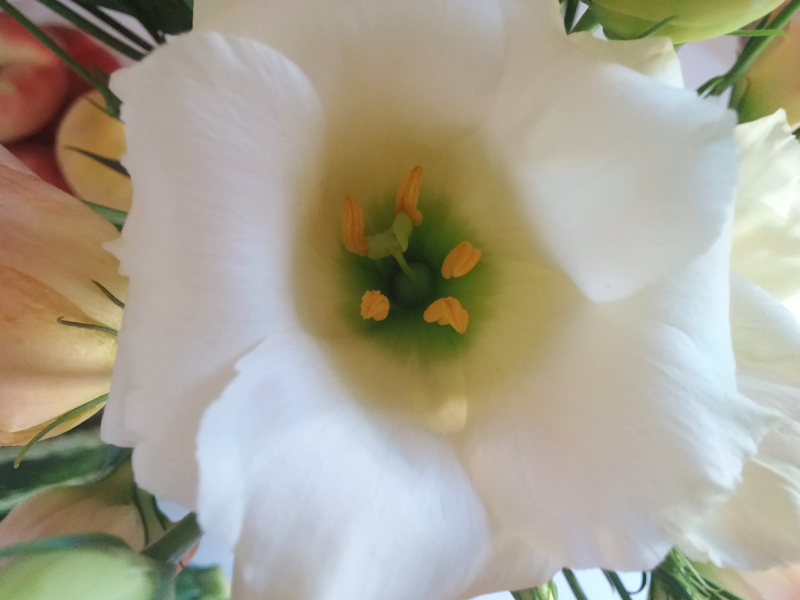 This week I bought: pretty flowers (that Lloyd was really keen on sniffing! 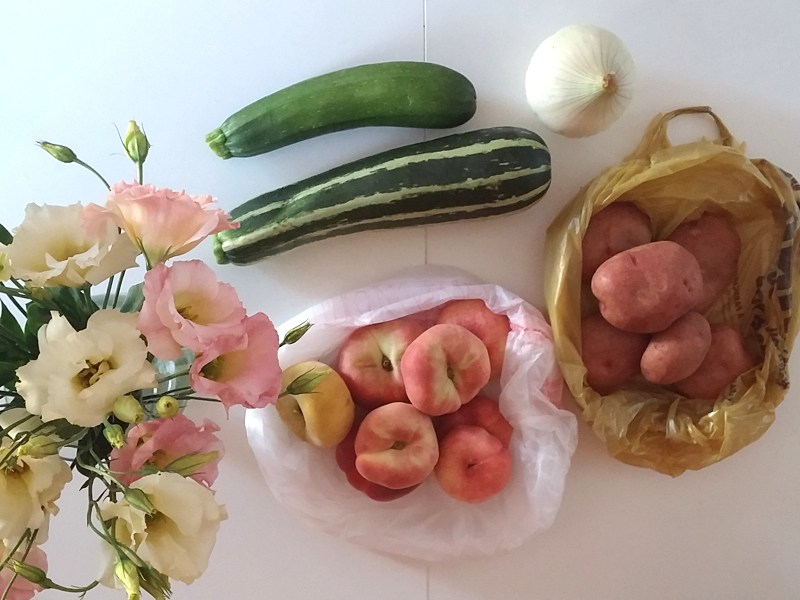 ), some squash, a sweet onion, red potatoes, and donut peaches. YUM! successful market trips are the best. 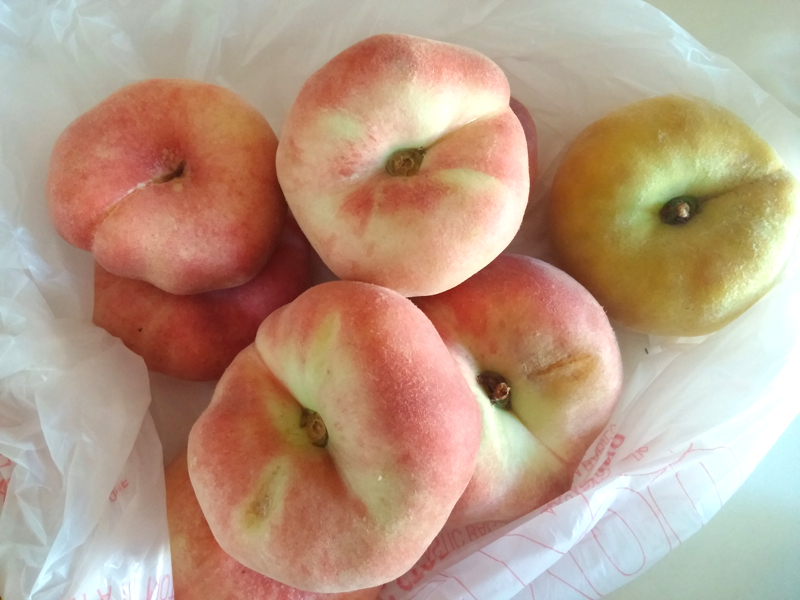 Donut peaches?! I've never heard of them but they sound wonderful! Ahh I am obsessed with squash, some zucchini bread sounds really good right now. I don't know!!! They really are so much more delicious. I've seen a lot of them this year. I didn't see any last year!